All people are capable of resilience, which is the ability to bounce back after challenges. Those facing mental illness can learn to use strengths to become more resilient despite symptoms. Identifying and acknowledging strengths and supports allows a person to feel powerful and strong in the face of adversity. 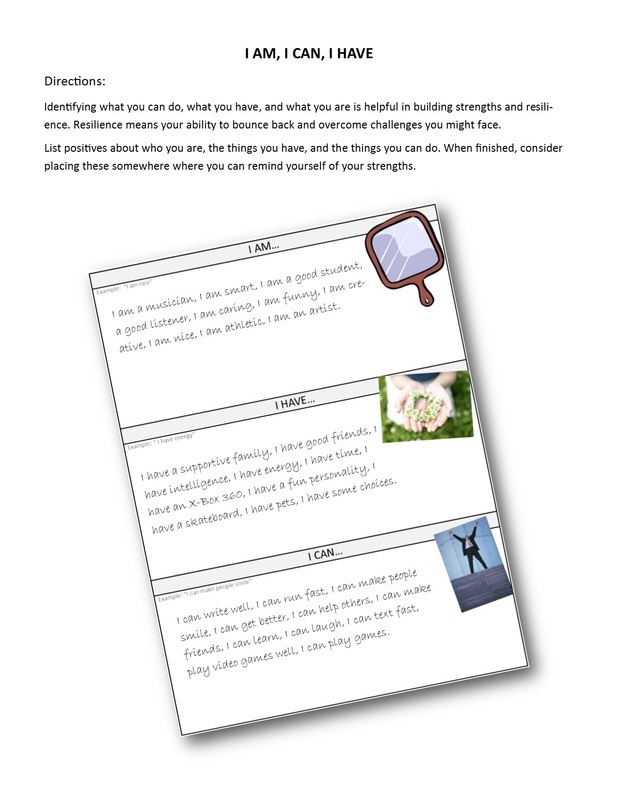 Use this exercise to help clients identify strengths. In the most simple way, clients can be given time to spend on the handout and then choose to share some of their statements with the rest of the group. Here are some ideas for making the group more useful. Encourage those with low self-esteem. If clients are having trouble identifying strengths have them write down statements that they would like to believe. For example, if they don't believe that they can get along with others well, they can write it down as something they would like to have as a strength. Explore values and beliefs. Ask clients to choose which statements are most important to them. This is a good activity for discussing values and beliefs. Values and beliefs are tied to emotions and behaviors. Identify which values and beliefs might be in conflict with behaviors. Use as an icebreaker. 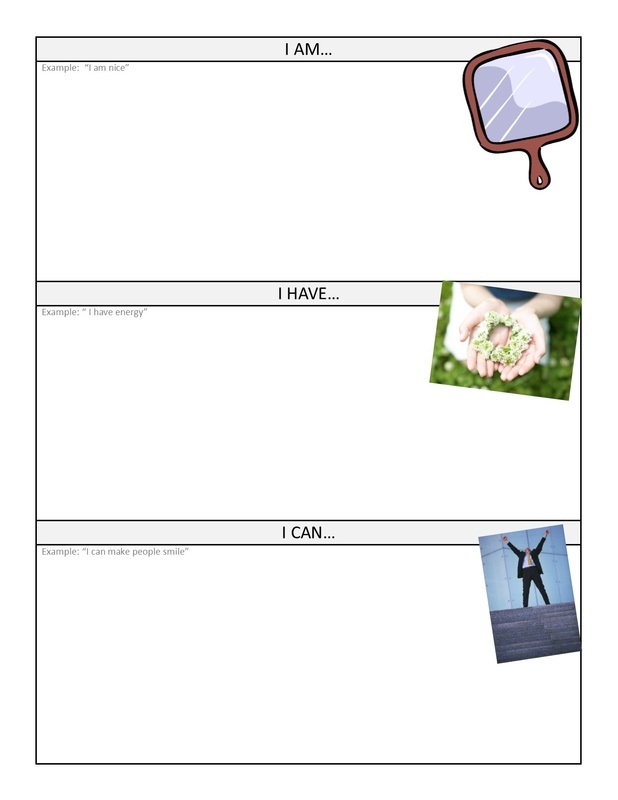 I am, I can, and I have are excellent questions for introducing members of a group to each other and to a counselor. Rapport building is extremely important for helping clients feel comfortable to share. This activity gives them a more therapeutic way to do that rapport building.